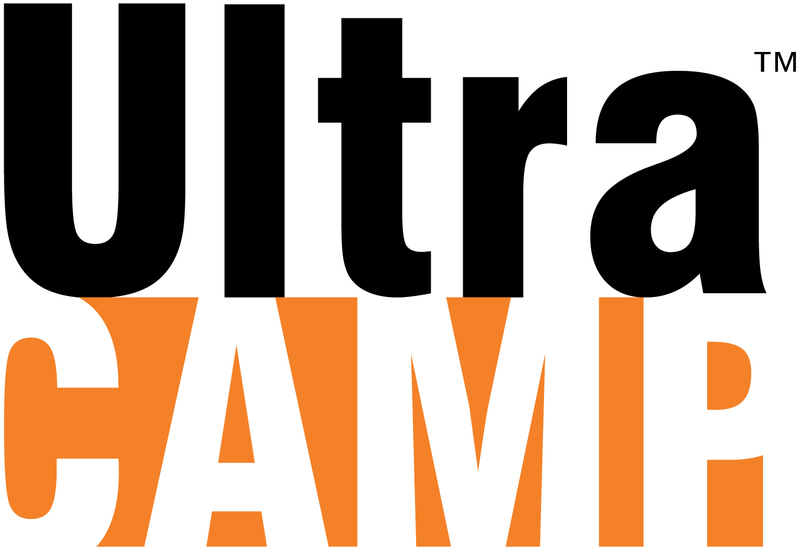 Come to the shores of Lake Tahoe for an event you will not forget. Join camp and conference professionals from all over the U.S. and Canada on scenic Lake Tahoe for meaningful fellowship and learning. We encourage you to bring members from all areas of your outdoor ministry for professional growth and collaborative learning. Whether you’re a first-timer or a seasoned veteran of outdoor ministry, there will be something for you at Annual Conference! These familiar words are a great reminder of God’s providence. Throughout the conference, we will borrow imagery from Psalm 23 to center ourselves in gratitude and faithfulness as we examine the stories of our ministries in times of abundance as well as scarcity. 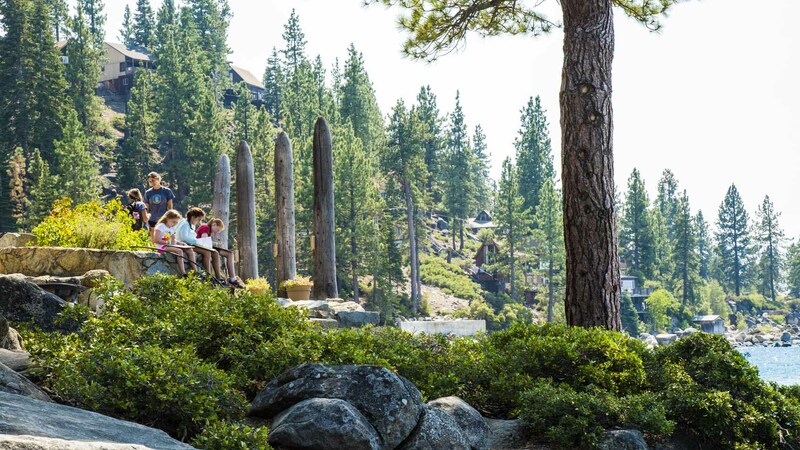 Nestled in the Sierra Nevada Mountains on a half-mile of Lake Tahoe shoreline, Zephyr Point Presbyterian Conference Center is one of the most beautiful places in the world. Its Christian presence over the years witnesses that God, indeed, dwells among us. Since 1925, this Presbyterian conference center has provided rest, rejuvenation, and recreation for thousands. A special thanks goes to our generous Day Sponsors for their important role in this conference. The Side by Side Conference is excited to offer two pre-events this year. You now have the option of arriving on Friday before the conference to take advantage of one of these educational opportunities. In cooperation with the Insurance Board, Praesidium trainers will first take a look at the scope of sexual abuse and the impact of abuse. 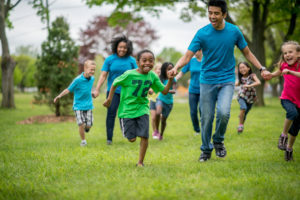 We will provide camp directors with the knowledge and skills necessary to help protect their campers from sexual abuse and their staff from false allegations. The first half of the seminar will provide directors with an advanced understanding of how abuse happens in camps. In addition, directors will receive handouts and resources that they can share with their staff regarding what their staff can do to maintain a safe camp. Over the past 25 years Praesidium has worked with thousands of organizations across the United States and abroad to protect children, vulnerable adults, and the organizations that serve them. By using root cause analysis of over 4,000 incidents of sexual abuse in organizations, Praesidium determined that causes of organizational abuse are clustered in eight operations: policies, screening and selection, training, monitoring and supervision, internal feedback systems, consumer participation, responding, and administrative practices. These operations formed the Praesidium Safety Equation®. Using best practices and standards in abuse prevention, the Safety Equation allows organizations to identify areas of strength or improvement with regards to youth, community, and organizational safety. 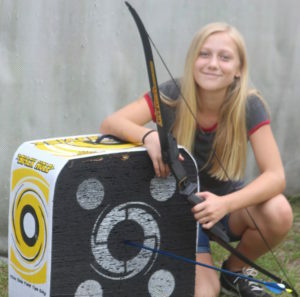 Are you considering archery as a possible activity for your summer campers? Are you an ACA accredited program that is seeking certification for your archery instructor? The Side by Side Conference has partnered with the Arkansas Game and Fish Commission to offer a Basic Archery Instructor training course as a pre-event. Interested participants will come to Ferncliff Camp and Conference Center on November 4-6. The weekend class begins with dinner on Friday night and concludes with lunch on Sunday. Most participants will stick around for the PCCCA/OMA Annual Conference that starts that evening, but a shuttle will be available for those who need to head back to the airport. 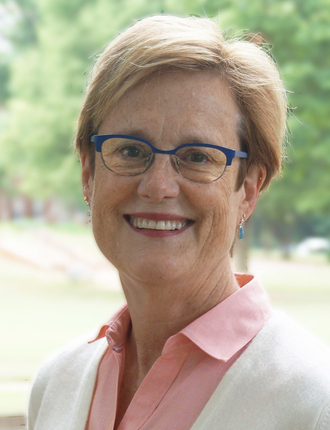 Leanne is the President and Professor of Theology at Columbia Theological Seminary. She accepted this call in the spring of 2015 and now serves at the tenth president of the seminary. Formerly, Leanne was the Dean and Vice President of Academic Affairs and Professor of Reformed theology at Western Theological Seminary in Holland, Michigan. She is a graduate of Calvin College, Western Michigan University, Calvin Theological Seminary, and Princeton Theological Seminary. 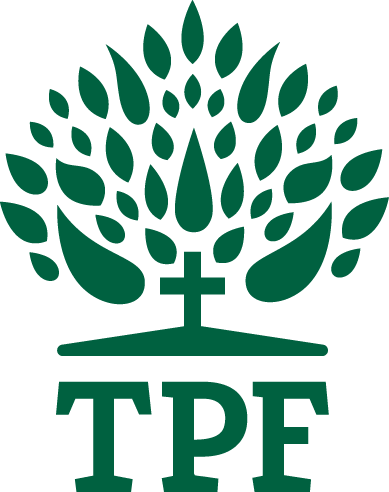 The author of several books and numerous articles, Leanne is particularly interested in the potential of theological education to serve the church and the world. She is an ordained minister in the Presbyterian Church (USA). Bruce has been a Presbyterian pastor for over 22 years and served as the founding pastor of Mission Bay Community Church in San Francisco from 2000-2012, a church of young, multicultural and progressive Presbyterians. He also served California congregations in Portola Valley, Daly City, and San Francisco. In 2008 he was the youngest person ever elected as Moderator of the General Assembly of the Presbyterian Church (USA). 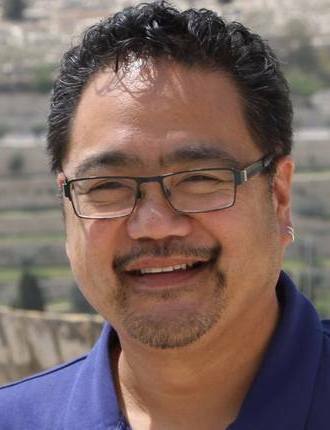 Bruce is currently the Interim Pastor at Broadmoor Presbyterian Church in Daly City and the Director of Coaching at The Center of Progressive Renewal. He lives in San Francisco with his wife, three daughters, and two canines. 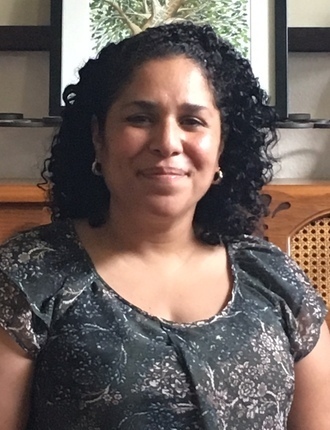 Loli has been the Pastor at the Presbyterian Church of Seffner for almost 10 years where she partners in ministry with a loving and vibrant congregation. She has been the keynote speaker and preacher at a number of camps and conferences for people of varying ages and abilities. Loli is the mother of 2 amazing girls (ages 11 and 14) and is happily married to John (the Director at Cedarkirk Camp and Conference Center). Loli and John have been involved in camp ministry for over 20 years. 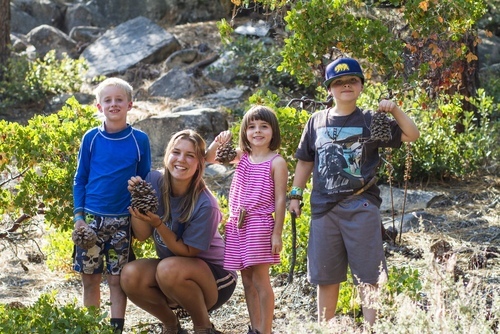 They continue to speak and educate others about the importance of being good stewards of nature and the importance of keeping the Sabbath by taking time apart and re-creating. Matthew taught himself to play guitar while listening to the Beatles, Cat Stevens, and 90s monster ballads. The literal son of a preacher man, he moved a lot when he was young, and learned to observe the world from the outside looking in, taking what he saw and turned it into music. He plays for crowds large and small in and around Chicago, where he lives and keeps a day job as a web developer. 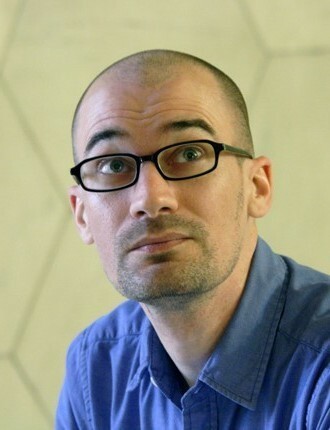 He has also led worship for the Presbyterian Peace Fellowship and Young Adult Volunteers program, two organizations he has also been a part of. While this is his first time at a PCCCA event, Matt is no stranger to Presbyterian camping– he served on the summer staff at Camp Donegal from 1996-2000! Zephyr Point will be providing a shuttle service from the Reno-Tahoe International Airport on the first and last day of the conference. Zephyr Point is about an hour from the airport. Cost for the shuttle will be $25 one-way or $50 round trip. Please schedule your flight to arrive before 4:00 pm on Sunday, November 11. Please book your departing flight no earlier than 5:30 am on Friday, November 16. If you plan to use the shuttle service, schedule your flight accordingly. Let us know your flight information when you register for the conference. There are nine rental car agencies operating out of the Reno Airport, including Budget, Enterprise, Hertz, etc. You may choose to fly into another airport, but you will need to provide your own transportation. Sacramento, California is the next closest airport and is about 2.5 hours form Zephyr Point. Take the South Tahoe Airporter to Lakeside Inn (two miles south of Zephyr Point) and call the ZP office at 775.588.6759 for pick up. If you arrive after office hours, you can take a taxi to the site. Zephyr Point is located at 660 Highway 50, Zephyr Cove, NV 89448. Coming from Sacramento on Hwy. 50, travel through South Lake Tahoe. 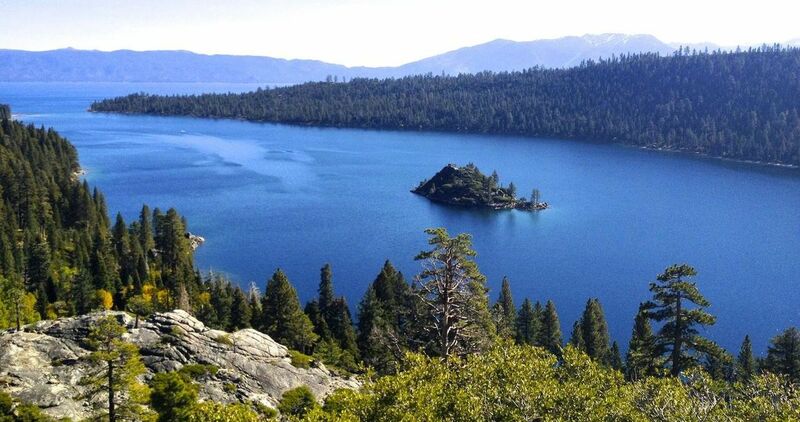 Zephyr Point is 4 miles from Stateline, Nevada, on the lakeside (left). Coming from I-80, take Hwy 267 from Truckee to Kings Beach. At Kings Beach take a Left on Hwy. 28 to Hwy. 50, then right headed south to Zephyr Point (1/2 mile beyond Zephyr Cove Resort and 4 miles from Cave Rock Tunnel). Coming from Reno, take Hwy. 395 toward Carson City. Go through Carson City to Hwy. 50. Turn right, follow Hwy. 50 approximately 18 miles to Zephyr Point (1/2 mile beyond Zephyr Cove Resort and 4 miles from Cave Rock Tunnel). Look for the Zephyr Point entrance sign on the lakeside of Hwy. 50. Due to a recent change in lane lines, Zephyr Point must be entered by right turn only (coming from the north). If you are coming from the south, proceed past the Zephyr Point entrance to the traffic light at Zephyr Cove Resort and U-turn to double back to Zephyr Point. Can you tell me more about Zephyr Point? Since 1925 this Presbyterian Conference Center has provided rest, rejuvenation and recreation for thousands. From its humble origin, when guests camped in tents on a rugged lakeside, Zephyr Point has grown into one of the leading cross-cultural and ecumenical Christian Centers in the nation. 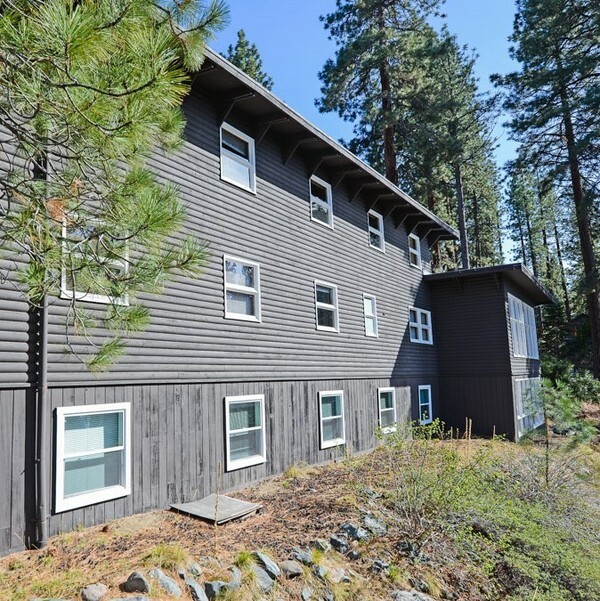 Zephyr Point’s history began during the Roaring Twenties when the Presbyterian Synod of California was contemplating new and inspirational experiences for its young people. Dr. Robert Donaldson of the Board of National Missions in San Francisco Presbytery scheduled the first Young People’s Conference at Lake Tahoe for the summer of 1924. For over ninety years now, two words have been at the core of Zephyr Point: Christian and Conferences. Thousands have gained inspiration in faith, enjoyed the wonders of God in nature, and enhanced or established Christ-centered lives. The spectacular location has served as background for hundreds of conferences embracing faith and life and Christian influences. If you want to learn more about Zephyr Point, please check out their website. What is there to do at Zephyr Point? The Weather Channel is currently projecting the temperatures that week to have highs of around 50F/10°C and lows around 30°F/-1°C. Absolutely – they would have a great time! 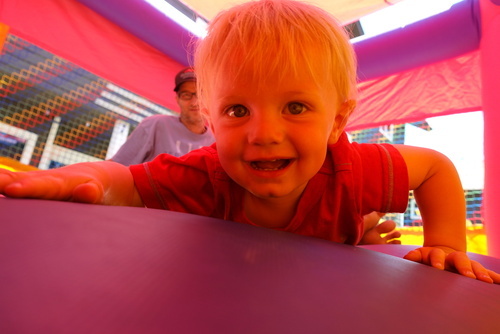 We have a special lodging and meal rates for children. You all can stay in the Tallac Center. There will also be programming for children and youth provided by the incredible Zephyr Point staff. What kind of WiFi and Cell coverage can I expect? Wi-fi signal is available throughout the Tallac Center, so you will have access during meals, plenary sessions, and the workshops. 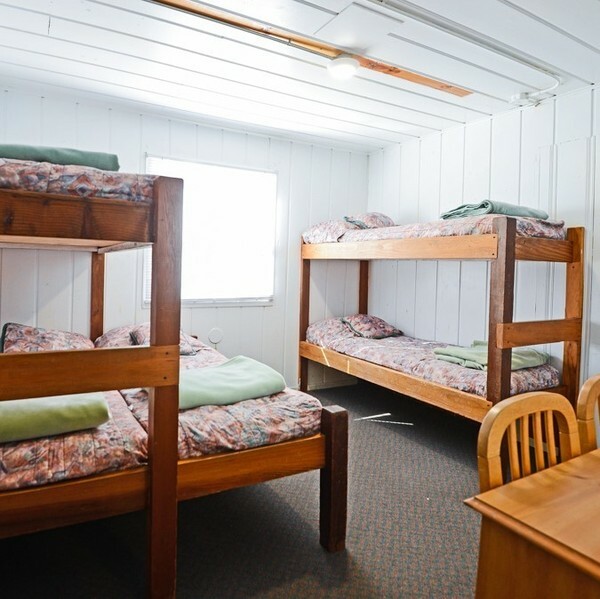 It is also available for those who choose private bath lodging in the Tallac Center. There is no wi-fi signal in the dorm housing, Hubbard Lodge. The cell phone signal is decent throughout the entire property with Verizon faring slightly better than AT&T. Do I need to bring linens, towels, and hair dryer? All of your linens and towels are provided, hair dryers are not. Comfortable walking shoes, water bottle, rain coat, and a flashlight are highly recommended. There will be a resource table, so you can bring brochures from your site to share with others. If you are going to participate in the 5K run/walk, bring your running shoes. The Swag Swap on Monday gives you the opportunity to trade camp store items (t-shirts, water bottles, etc.) with other participants, so be sure to leave room in your suitcase to bring these items. 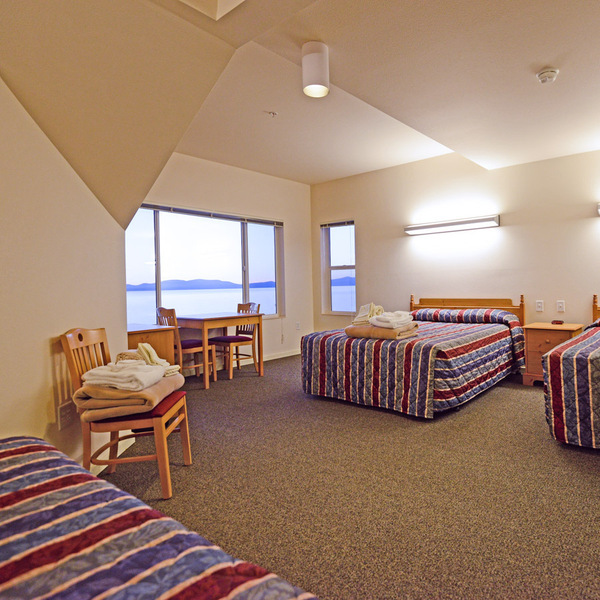 Tallac Center has hotel-style accommodations with a beautiful view of Lake Tahoe. These buildings offer guest rooms with private baths and have either two or three queen beds in each room. These rooms are also fully-accessible, complete with elevators. Hubbard Lodge is a three-story building featuring two multi-purpose rooms, a fully-equipped kitchen, and 20 guestrooms with shared bathrooms and showers on each floor. 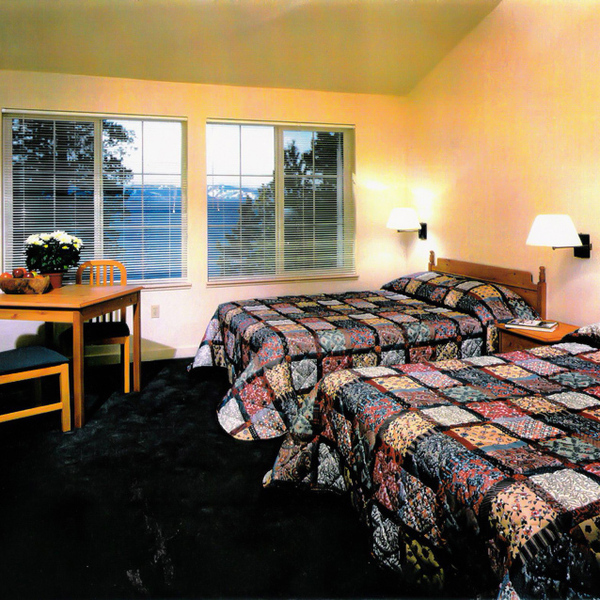 Most of the bedrooms have two twin beds. Prior to October 15th, all but $100.00 will be refunded to you. After this date, the entire fee is nonrefundable. If you need to cancel or change your registration, please contact the conference registrar, David Edscorn, at registrar@pccca.net. Financial assistance is available for the conference. Please complete this request form and send it to PCCCA Executive Director, Joel Winchip at joel@pccca.net. PCCCA scholarships are normally limited to the registration fee for the event. So how much does it cost to attend the conference? Just add your registration fee, lodging fee, meals fee, and shuttle fee (optional) to get the total cost. Why all the math? We want you to be charged for exactly what you need and nothing more. If you should have any questions about the conference, please contact the PCCCA Executive Director, Joel Winchip, at joel@pccca.net. If you are having trouble registering for the event (or need to change something with your current registration), please contact the registrar, David Edscorn, at registrar@pccca.net. Please do not contact Zephyr Point directly unless you are planning on adding lodging nights before or after the conference. Your contact person would then be Kelli Ramsay. If you have any questions about the Children and Youth Program, please contact Shelby Holte at sholte@zephyrpoint.org or 775.588.6759 ext. 107. Wednesday afternoon is wide open for you to enjoy everything that the region has to offer. Below you will find four planned trips. If you do not feel like traveling on Wednesday, you can also stay at Zephyr Point and relax by the lake or in your housing facilities. Dinner will be served in Tallac Center for an additional $15.50 per person. Apple Hill is located in the western Sierra Foothills in El Dorado County. Just an hour and a half drive from Zephyr Point, this locale is filled with fruit orchards, breweries, tree farms, and wineries. We will be visiting a couple of our favorite orchards, High Hill Ranch and Rainbow Orchards. Another stop will be at one of Apple Hill’s wineries, The Lava Cap Winery (wine tasting available at an additional cost). We will end our evening in the historic gold mining town of Placerville, CA (also known as Hangtown). 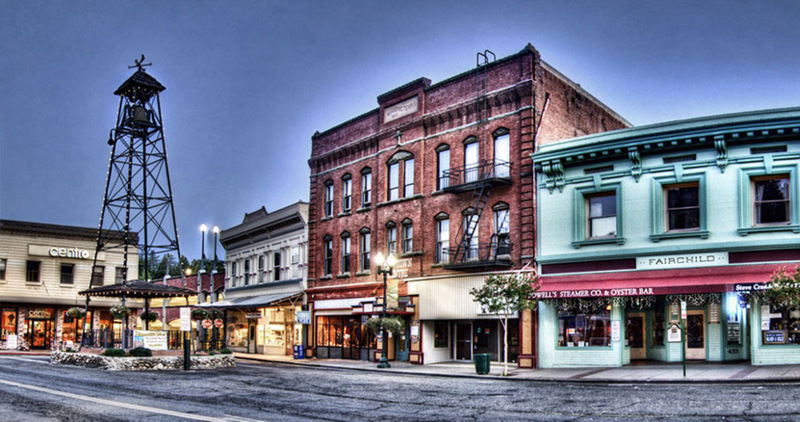 Placerville has the most unique and diverse shopping district in the area, woven amongst businesses that date back over 100 years. We encourage you to eat dinner there in town before departing back to Zephyr Point. Transportation for this trip is just $10 per person (maximum 50 people). On this outing you will have the opportunity to stop at the Inspiration Point Lookout on your war to your final destination. We will take the trail down to the Vikingsholm Castle on the lake. The one-mile trail is very steep, but well-defined with wonderful scenery along the way. The castle sits just back from the gorgeous beach and dock area at Emerald Bay. Tours of the inside of the castle are not available in November, but the outside architecture of the castle makes this a must-see. Our trip will conclude with dinner (on your own) in Lake Tahoe before heading back to Zephyr. Transportation for this trip is just $10 per person (limited to 11 participants). 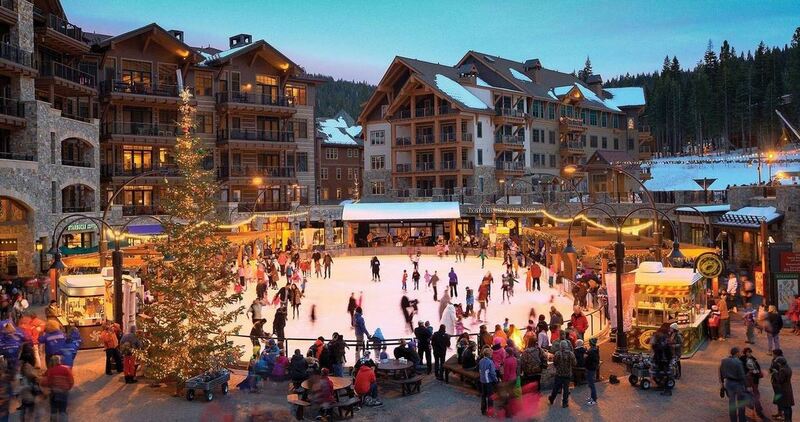 Stateline/Heavenly Village is located 5 minutes south of Zephyr Point. We will have transportation to and from the area throughout the afternoon. The gondola in the Heavenly ski area is not running at this time due to maintenance. There are many opportunities in the area, including restaurants, shopping in Heavenly Village, and casinos in Stateline. Complimentary shuttles will be running periodically throughout the afternoon. We will travel to the Bijou Community Park Disc Gold Course in Lake Tahoe (15 min from Zephyr Point) for a 27-hole course tournament. No experience is necessary. 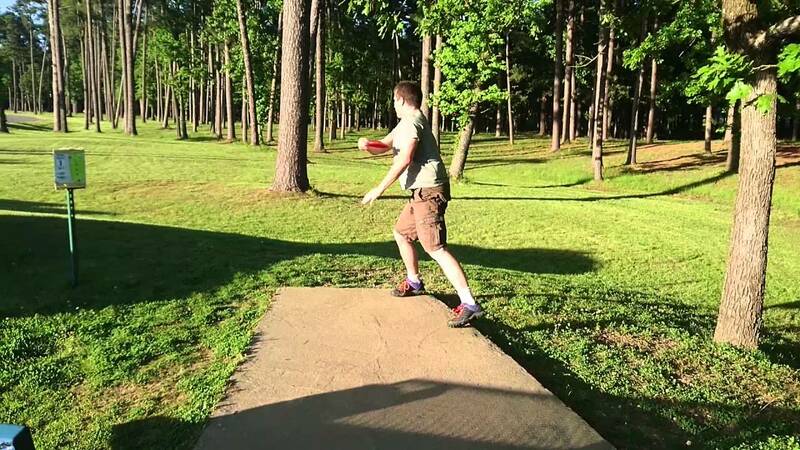 Bring discs if you have them (we will have some to share). Transportation is not provided. We will carpool to the course and eat dinner in South Lake Tahoe before we head back to Zephyr Point. Do you have your own vehicle and are looking for additional options? If so, please check out this list of other points of interest in the area. An exhibit hall in Echo Peak and Talking Mountain will open from 10:30am to 12:00 pm and from 12:45 to 5:00pm. Exhibitors will be on hand to share what they offer your camp and conference ministry. Participants who visit certain booths will be entered into a special drawing for prizes donated by these organizations. That is an individual who once attended the PCCCA Annual Conference or the OMA-UCC Consult, but is no longer affiliated with outdoor ministry. They just want to come back and see old friends. This is not for current camp/conference staff (paid or volunteer) or committee/board members. These meetings are a great opportunity to learn more about the association and its current initiatives. Bring t-shirts, sweatshirts, water bottles or anything else with your camp or conference logo on it (children sizes are welcome as well). This free-for-all exchange could help with next year’s t-shirt design and give you good ideas for new items in your camp store. The Led Zephyr: Stairway to Heaven event has returned. This 5K run/walk/stumble encompasses the natural and installed features that Zephyr Point has to offer, including steep hills, their 145-step stairway, and perhaps a view of their parking garage. 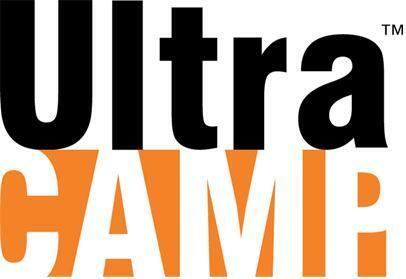 Bring your walking or running shoes and a bottle of oxygen for what proves to be a great event - and spectacle - for all. Join us for an evening of fun and entertainment at our very own coffeehouse. Bring your talent of music, singing, instruments, poetry and any other talent you would like to share with the group! We will be our very own evening entertainment as we share our talents with one another. If you don’t have a talent you want to share, come and enjoy the talent of your friends and colleagues and enjoy snacks and beverages. Ferncliff has mountain bikes, mountain boards, pedal cars and canoes available for use. Be sure to check out the shady chute and miles of hiking trails right on site. The Annual Auction Fund Raiser is a high-energy, fun-filled, entertaining evening supporting our organization. Items for the auction may be shipped in advance to Mo-Ranch. Plan now to provide an item, and bring your check book and a generous heart! This will be an opportunity for gatherings according to your position (i.e. Executive Directors, Program Directors, Maintenance Staff, Board Members, etc.) in order to share best practices and to learn from one another. In the afternoon session, participants will learn about the Safety Equation’s eight operations and how to apply the Safety Equation to the camp setting. Developing policies regarding boundaries—discussing best practice and model policies through IB. Training—discussing best practice and the Armatus Coaching Guides and how they can be used to follow-up with staff/volunteers after they take Armatus. Screening —discussing best practice, background checks and additional screening instruments through IB. Monitoring and Supervision—best practices and sample procedures through IB. Responding and Crisis Management – best practices and samples through IB and IB/Praesidium Helpline. Day 2’s session will focus on Creating a Culture of Safety at your camp. We will discuss the four step process for implementing an effective abuse prevention program and moving your camp culture from a place of compliance to commitment. Audrey Oliver works with a variety of youth serving organizations as well as social service agencies. Oliver trains, assesses risk, and performs accreditation visits with the rest of the Praesidium team for a multitude of organizations. Prior to joining Praesidium, Oliver worked as an intern for the Tarrant County district attorney’s office in felony court, specifically on cases of child sexual abuse. She was also a volunteer for legal aide in the state of Texas. 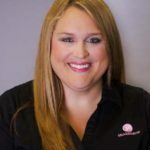 Oliver graduated with a bachelor’s degree in public relations as well as a juris doctorate from Texas Tech University, where she was on the Board of Barristers. The prices below are the combined fee for lodging (Friday and Saturday nights), meals (Friday dinner through Sunday lunch), and the registration fee for this pre-event. Shuttles are available for those who fly into Little Rock International Airport (LIT) for just $25 round trip. We just ask that you schedule your arrival by 4:30pm on Friday. If you are departing on Sunday the 6th and want to take the shuttle back to the airport, we ask that you book your flight to leave no earlier than 2:30pm. If you are staying for the whole conference, we will run shuttles on Friday the 11th starting at 4:30am. What is involved with this class? This professional development instructor course demonstrates how to setup an indoor or outdoor archery range, run your range safely, and coach your students to become great archers. Participants will need to come prepared for shooting archery, hands-on learning, and a program that can change the lives of your campers. This course is designed for teaching archery to grades 4-12. Is archery a good activity for my summer program? 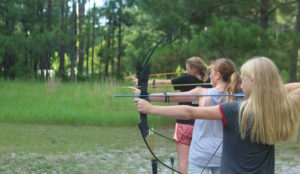 Campers of many physical skill levels can enjoy archery. A little concentration and hand-to-eye coordination is all it takes. Archery is a great way to sharpen skills and build self-esteem. Linda Goodner went to work for the Arkansas Game and Fish Commission in 1990. 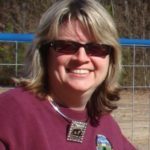 She has worked as a wildlife technician, a part-time wildlife officer, a conservation education center facility manager, and is currently the Regional Education Coordinator for ten counties in Southwest AR. Linda holds a BSE in Education and a Masters of Education from Southern AR University. In 2015, she received the Campbell Award in recognition of outstanding leadership, spirit, and community service with the Arkansas Game and Fish Commission. Linda is married and has a daughter who attends Columbia Christian School in Magnolia. Yearning to experience a time that is simpler and free of demands? 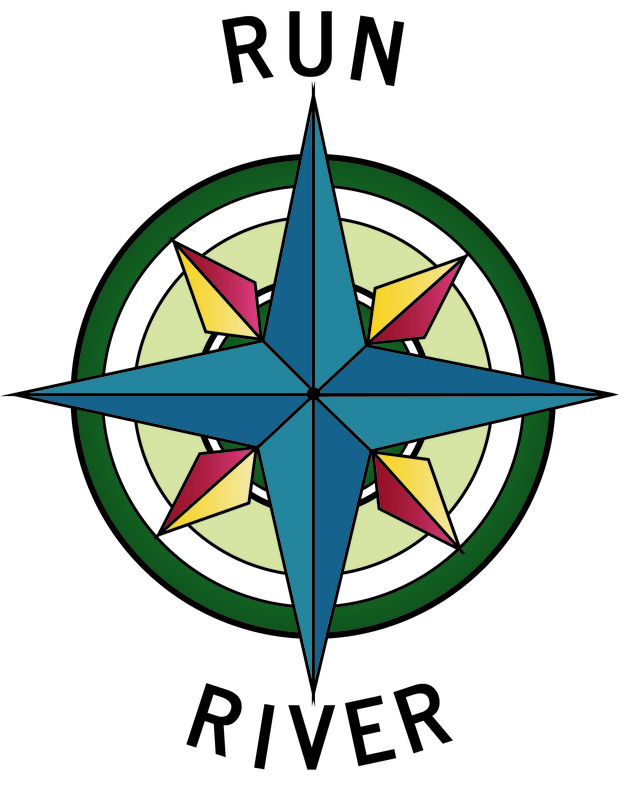 Join us for H2MO – a time to relax and play by the waters of the Guadalupe River. We will start with an old fashioned family picnic followed by a yummy ice cream social. Afternoon activities will include the world famous Mo-Slide, a rope swing, canoeing, kayaking and paddle boarding. You will get a chance to dry off while playing a wide range of simple field games. We often don’t take our own advice on self care and this time has been specifically designed to be a chance for us all to rest, rejuvenate and recharge. Did we mention that we also will take our group picture by the water? These are informal discussions on different topics of interest. We will invite participants to suggest topics of interest that might be shared by many or a few other participants. You will have the freedom to come and go from conversations as needed. Is this your first time at a PCCCA Annual Conference? Have you been to a conference before, but it’s been a few years? Do you just want to hear more about the 2018 conference and meet some awesome new friends? This orientation is open to all conference attendees and is designed to give an introduction of what to expect from the conference and a chance to meet and get to know some fellow conference attendees. Music is an integral part of outdoor ministry. Join us for an informal campfire. If you have a passion for music bring an instrument and/or a couple of favorite campfire songs to teach the rest of us! 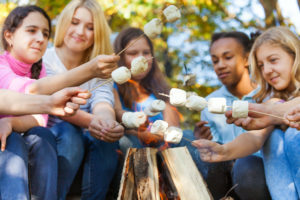 This is an opportunity to connect intentionally with other camp professionals in similar situations. We’ll meet in small groups based on different factors like operating budget, staffing structure, or level of experience to better facilitate relevant conversations. Stay in the dining hall to see promos of upcoming PCCCA events. In celebration of the abundance of experiences and gifts of this community, we are hosting a night of storytelling. We are looking for conference participants to share their “camp story”- the sky's the limit, as long as the story is true and yours!